You have reached L'Oreal Paris K1379801 L'Oreal Paris EverCurl Hydracharge Leave-In Cream, 6.0 Fluid Ounce in Findsimilar! Our expertise is to show you Health and Beauty items that are similar to the one you've searched. 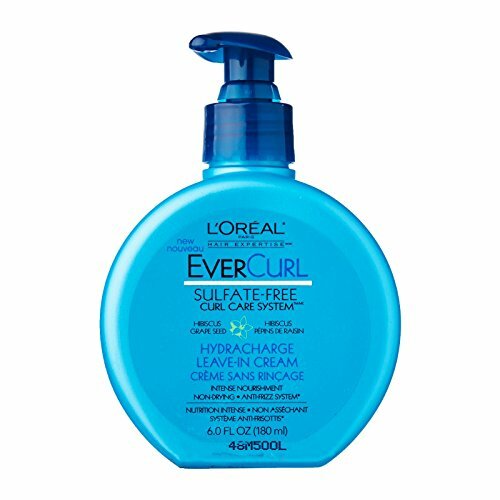 Amongst them you can find L'Oreal Paris EverCurl Hydracharge Cleansing Conditioner, 8.3 Fluid Ounce, L'Oréal Paris EverCurl Hydracharge Conditioner Sulfate Free, 8.5 fl. oz., L'Oréal Paris EverCurl HydraCharge Shampoo Sulfate Free, 8.5 fl. oz., L'Oréal Paris EverCurl Cleansing Balm, 16.9 fl. oz., L'Oreal Paris Hair Expertise - EverCurl - Hydracharge Leave-In Cream - Net Wt. 6 FL OZ (180 mL) Each - Pack of 2, L'Oreal Paris EverCurl Sculpt and Hold Cream Gel, 5.0 Fluid Ounce, L'Oréal Paris EverCurl Sulfate Free Sculpt & Hold Cream-Gel, 5 fl. oz., L'Oreal Paris EverCurl Hydracharge Shampoo, 8.5 Fluid Ounce & LOreal Paris EverCurl Hydracharge Conditioner, 8.5 Fluid Ounce, L'Oreal Paris EverCurl Silk and Gloss Dual Oil Care, 6.1 Fluid Ounce, L'Oreal Ever Curl Care System Hydracharge Leave-In Cream 6 oz, all for sale with the cheapest prices in the web.